Spruce It Up Quilting: Feeling great! Have you noticed the difference Daylight Savings has made? I have! I really feel the pull of hibernation in November when we move to Standard Time and can feel my body wake up in spring... wonders that are more pronounced this year since we've moved back home. I love it! Today I anchored my new extra large cutting mat acquired at Tuesday Morning in CA before the move. The grid measures 33" X 60" but you can see the borders make it larger. 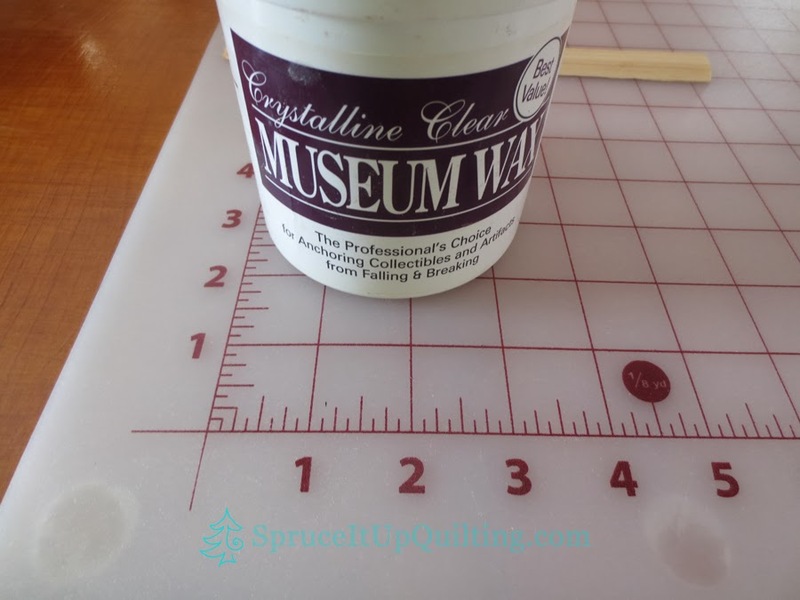 Since I didn't want to adhere it permanently to my table with epoxy, I used what is common in earthquake country: Museum Wax. It's a necessary evil in California! Anything you want to make sure doesn't move during an earthquake should be "glued" down with this product. It's not a glue, but a wax... you scoop up a small amount, roll it in a ball and apply it to the piece and press it to the surface. It won't move!! EVER!! To remove the article, you twist it off! I don't plan on removing this mat for quite awhile so I hope this holds it steady for a long time. You can see through the mat where I've anchored it. 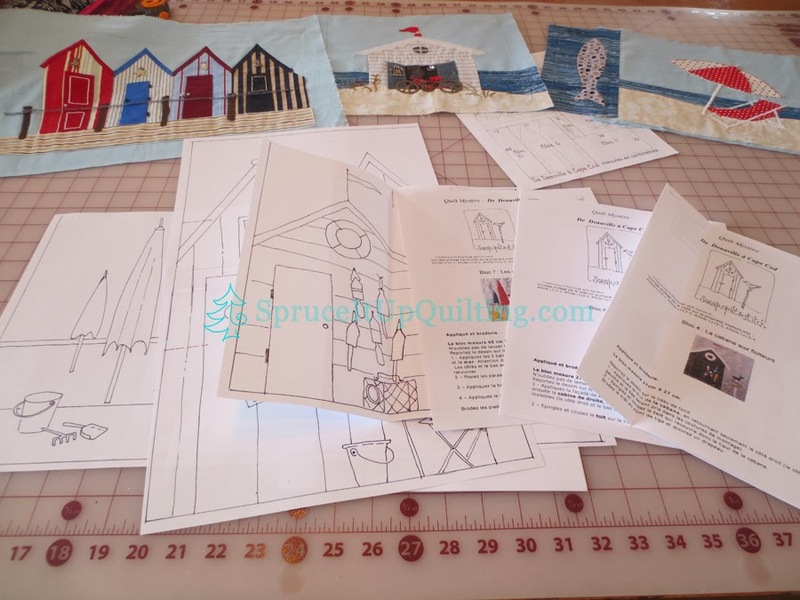 I got back to Scrap Quilt and Stitch's De Deauville to Cape Cod today! It feels great to handle fabric again! I've missed the creative side of quilting. I'm behind in this BOM by three months! YIKES!!! It's time I catch up!! I'll be preparing all 3 blocks before the appliqueing begins. Since I need something to work on in the evening, I found this long forgotten piece I started in 2000! Yes you read that right: the year 2000!!! I attended Dalhousie University's Costume Studies in 1999-2000 and our year-end project was recreating costumes of the 1870s. 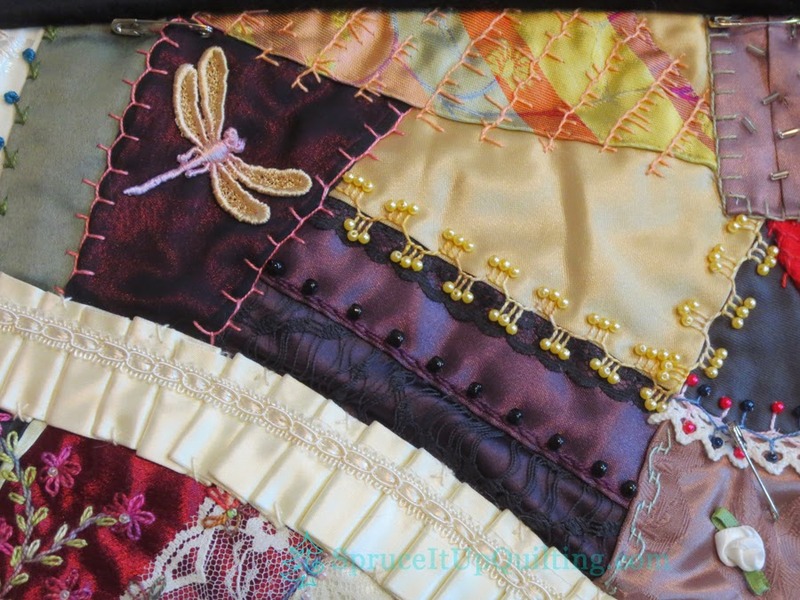 While we were creating these beautiful costumes, I asked for donations of trims, fabrics, etc from all the students in the class and I put them together in a crazy quilt. You'll have to wait until it's done to see the final piece! I'm nearing the end of this WIP (Work in Progress). It'll feel great to get it done and about time don't you think? It's a great reminder of a wonderful time spent sewing with great people, students and teachers alike. I can't wait to have this one done. Today I'm linking with The Needle And Thread Network. Check them out and see what other creative people are working on in CANADA! March 13/2014: Also adding this to Let's Bee Social at http://sewfreshquilts.blogspot.ca/ Go visit and see what this community of creative people are working on! Seriously, Lorette..what haven’t you done?? lol The costuming course at Dal, too..you continue to surprise me! Lots I haven't tackled yet! I was sad to leave and not take part in the second year but we were in the move again! I feel the same way about Daylight Savings--I've felt so much more energetic the past couple of days! 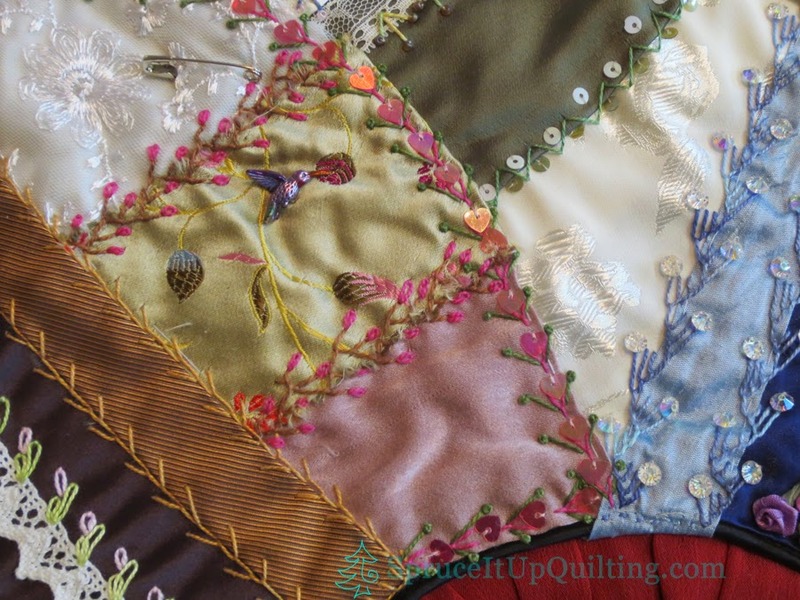 The close-ups of your crazy quilt look gorgeous, and it will be great when you have the full finished project. 2000 isn't so bad as far as WIPs go. I'm still working on a quilt from 2003, and I'm sure I have a couple of tops from the late 1990s in my stash. Hello Momiji, Thank you for your kind comments. Yes it will feel great to be done with the crazy quilt. It isn't big but it's precious... a great piece that brings me wonderful memories. I have just a few more beads to apply as a means of tacking down the quilt sandwich, then the binding. I believe I may just fold in the edges as I don't want to add too much bulk a regular binding would make... the border fabric is the one I used in creating my cape so it's rather thick. WIPS are aplenty here. I hope to tackle them all in good time. I visited your blog and will follow you along your projects! Thanks again! The crazy is gonna be gorgeous with all you'll have to work with. The wax sounds like a great adhesive. Hello Elle, my fellow classmates were very generous with the extras that would go to trash... I didn't need much fabric and it was fun to pick up some pieces they had discarded. I took liberty of adding some beads and trim that wasn't part of the costumes to add a little pizzazz. I'm ready to have this done! Thank you for visiting! Hello Susan, Bed Bath and Beyond probably carry the Museum Wax. I haven't tried the blue gum; my experience with it is that it leaves color behind that is difficult to clean. Perhaps I was using it wrong? I love anything embroidery and crazy quilting goes right along that line. Wow, Lorette! Your crazy quilting is incredible! Those stitches and button embellishments are just gorgeous. Glad to hear you are settling in! Thanks for joining the Let's Bee Social party! Hi Lorna, Thank you for your kind comments! I love crazy quilting and don't do it often enough! I'll be visiting the Social to continue checking out the creative people you have linking up! Love those projects! Ooh that crazy quilting looks lovely. I've seena craftsy class I've been meaning to check out on this way of quilting. Looks like great fun! It is FUN Ruth! You'll love it if you like embroidery and embellishments. 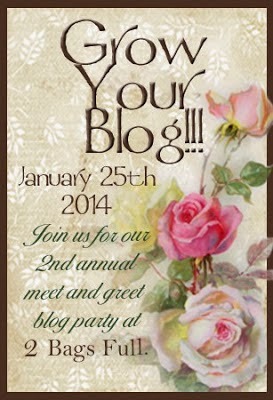 Thank you for visiting the blog! Might Museum wax be the solution to my kitty quakes? Perhaps if I stick it on the cats ..... Your crazy quilt blocks are very nice, fantastic embroidery! Thank you Regina! You are too funny! Your cats must be pretty active! Dreaming of beaches while iced! Bad weather = more quilting! Better strap making... for me!